Free cache, delete cookies, clear Internet history, shred temporary files, delete logs, and discard junk you didn't know was there. Designed for Linux and Windows systems, it wipes clean 90 applications including Firefox, Internet Explorer, Adobe Flash, Google Chrome, Opera, Safari,and more. Beyond simply deleting files, BleachBit includes advanced features such as shredding files to prevent recovery, wiping free disk space to hide traces of files deleted by other applications, and vacuuming Firefox to make it faster. Better than free, BleachBit is open source. 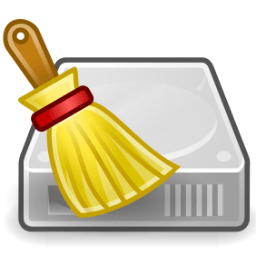 The following are a list of cleaners available in BleachBit 0.9.2. You should be able to see a list of options by hovering your mouse over the cleaner name. Add drag-and-drop support (thanks to contractor Pavel). Try dropping files onto the main application window. Fix preservation of thumbnails on Google Chrome and Chromium . Fix error Favicons is version 36 or 38 when cleaning Google Chrome and Chromium. Clean site engagement history on Google Chrome and Chromium. Enable secure delete for SQLite. Fix DatabaseError: no such table: moz_favicons for some Firefox profiles. Use HTTPS encryption when automatically checking for software updates. The bleachbit.org web site requires HTTPS encryption. Add journald cleaner (thanks to tstenner). Add software categories to bleachbit.desktop (thanks to Hugo Lefeuvre). Add appdata.xml file for Linux app stores (thanks to Mailaender). Call apt-get command for apt clean to respect the dpkg lock (reported by Danilo Piazzalunga). Whitelist Bluetooth daemon (reported by Timo Ollech). Fix error when cleaning APT autoremove (reported by vladislavyuzbekov). Fix purging of GTK recently used resources list. Use XDG base directory specification in cleaners (thanks to Alexander Schlarb). Resolve symlink for checking whitelist (repored by Vladimir Chapaikin). Rename the XChat cleaner to Hexchat (thanks to ROCKNROLLKID). On Debian/Ubuntu switch from su-to-root to PolicyKit (thanks in part to Martin Cigorraga). Improve Liferea cleaner (reported by Theatre-X). Drop packages for EOL distributions. Improve accuracy of wiping specific files on Windows by using special Windows APIs (thanks to contractor Peter Marshall). Improve the handling of Unicode filenames (thanks to contractor Marco Lagi). Restart Windows Explorer with normal privileges when cleaning thumbnails (reported by White). Do not empty the recycle bin on Windows in preview mode (reported by Guilherme Lino). Fix allegedly "mark for deletion" when not administrator on Windows. Fix deletion of locked files. Improve detection of running processes (reported by Race/relay12). Update GTK+ runtime from version 2.16 to 2.22. Switch to Windows-style environment variables (like %AppData%) in CleanerML. Fix reporting of local_cleaners_dir in Diagnostics dialog (reported by dvdbane). Improve management of false positive reports from antivirus software. Improve support for basic functions (thanks to Matt Hardcastle). Note: At this time there is neither a GUI nor an installer package. Refactor the build system for Windows to work on many systems including Appveyor (thanks in part to contractor boussaffawalid). Refactor unit tests (thanks to tstenner). Prepare code to work with Python 3 (thanks to tstenner). Combine Coveralls reports from Windows and Linux for better reporting of code coverage. Move some repositories to the new bleachbit organization on GitHub. Within minutes of each code commit, publish a Windows build to the new site ci.bleachbit.org. Adds support for over 270 new programs into the popular program CCleaner.